BANGI, 14 May 2014 – All cooking utensils used in school canteens must be rinsed with hot water after being washed as a measure to reduce food poisoning. Currently this is not practiced nor is it a requirement. UKM researcher Norul Hajar Nordin, a graduate student from the Institute of Environment and Development, said cross contamination between food and several food handling tools including the hands and kitchen utensils is the main reason for the high incidence of food poisoning in schools. Presenting her research paper on Food Poisoning at The 4th Conference on Human Habitat and Environment here recently, Norul Hajar said the Ministries of Health and Education have formed a joint committee on a School Health Plan following recommendations by UKM to solve the rising number of food poisoning cases in primary and secondary schools. Norul Hajar said there were 220 cases of food poisoning in schools which affected 8,010 students in 2011, a figure deemed serious. Such cases continued in 2013 mainly due to unhygienic school canteen environment and their poor management. 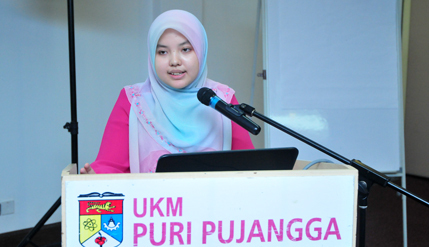 In her paper School Canteen Guidelines For A Better Living Towards Enhancing Quality Of Life Among School Students, she said a UKM team of researchers had produced the guidelines for school canteens to ensure hygienic environment and proper management of the canteens. The guidelines recommend that all canteen workers maintain self-hygiene while handling food, especially the cleanliness of their hands. Clean hands while handling food was important as proper hand hygiene can prevent up to 34% e.coli infections. Norul Hajar who was a member of the UKM team said other recommendations focused on several factors involved in ensuring clean school canteens and hygienic eating areas. Canteen facilities such as toilets, hand washing sinks and dustbins, must be clean and not smelly while all areas within their vicinities such as the floors, walls, ceilings and drains must be kept clean on a daily basis because their surfaces are prone to pathogenic and non-pathogenic microorganisms which can contaminate food. The conference was organized by the Institute of Malay World and Civilization (ATMA) UKM and the Research Centre for Sustainability Science and Governance (SGK) of the Institute for Environment and Development (LESTARI) and the Environmental Management Society (EMS) Malaysia. The Principal Fellow at ATMA and chairman of the organising committee, Professor Datuk Dr Jamaluddin Md Jahi opened the two-day conference. The first session of the conference entitled Human Habitat and Environmental Governance was chaired by Associate Professor Dr Sharifah Zarina Syed Zakaria, a Senior Fellow and Chairman of Research Centre for Environmental, Economic and Social Sustainability (KASES), UKM.